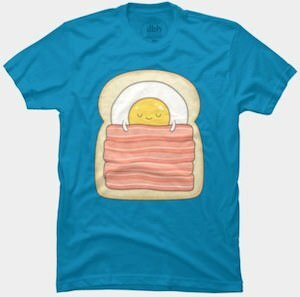 We all have those days that we can just not get our self to do things and for those days is this t-shirt. 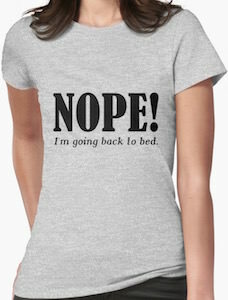 On the t-shirt it says “Nope! 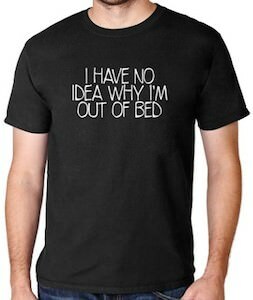 I’m Going Back To Bed” and that is what I feel like doing sometimes and now I can have the perfect t-shirt to wear when I feel like that. 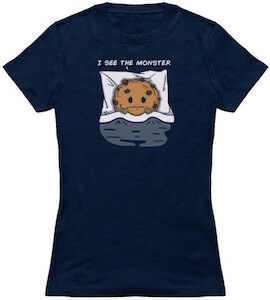 This funny t-shirt is available in men and women’s styles in many colors and in sizes that range from XSmall – 3XL (depending on the style). Most colors are made from 100% cotton but some shirts are made from 90% cotton and 10% polyester like this heather grey version.